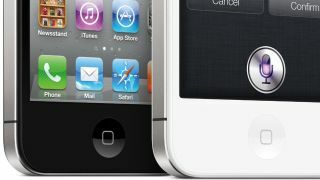 Apple's promised fix for an iOS 6.1 bug that enables intruders to by-pass a user's passcode and access certain areas of the phone, could be released this week. German site iFix claims that iOS 6.1.2 will be in the public realm by February 20, at the latest, as Apple looks to lockdown the dangerous flaw. Earlier this week a video was posted online showing how a complex series of button pushes could nullify the passcode and unlock photo albums, calling logs, voicemail and enable the hacker to modify contacts. Apple has acknowledged the problem, which is almost identical to one which surfaced in 2010, and said it is hastily working on a fix, but did not state when it would arrive. "Apple takes user security very seriously," said company spokesperson Trudy Muller on Thursday. "We are aware of this issue and will deliver a fix in a future software update." Now iFix, quoting the same sources it used to pre-empt the release of iOS 6.1.1 last week, to predict iOS 6.1.2 will arrive early next week, perhaps as soon as Monday or Tuesday.